Holistic dog care, or taking care of your dogs mind, body and spirit, will keep your your dog happier and healthier. Just as people have mental and emotional problems, dogs do too. If your dog is not having all of his needs met, he can develop naughty habits and behaviors. 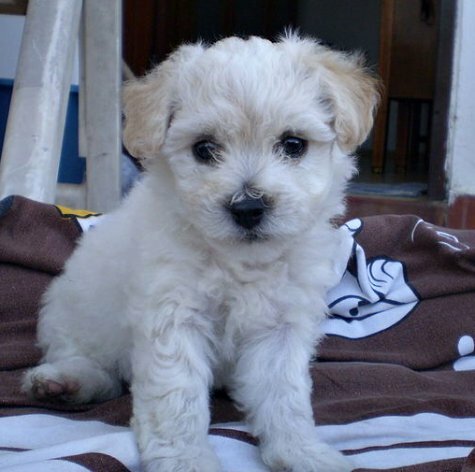 Your Bichon, like every other dog, has physical, emotional and medical needs. 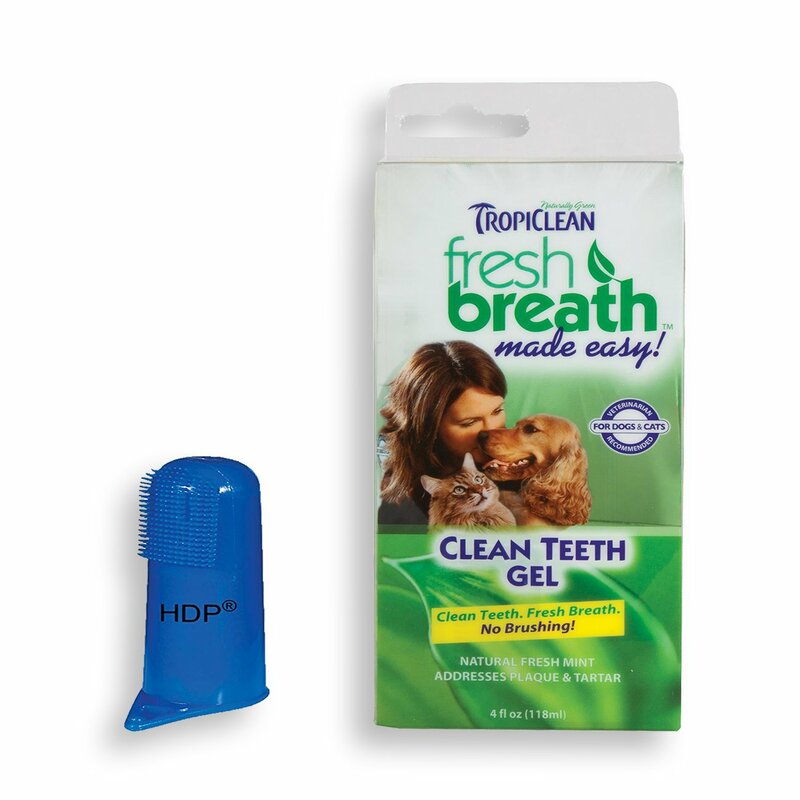 With love, attention and natural care products with no harsh chemicals, your dog will thrive! And a healthier dog is happier and more fun to be around. A dog who is having all her needs fulfilled, will be happy and healthy. Bichon Frise care begins the moment you get your Bichon puppy. Taking care of a puppy is much like caring for a child, and you’ll soon find that it is fun, as well! Dog care for Bichons does require time and patience, as this dog breed is very sociable, needs people contact, and requires daily grooming. While some dog breeds do well living outdoors, this is definitely not the case for Bichon Frises. Bichons are definitely indoor family dogs. 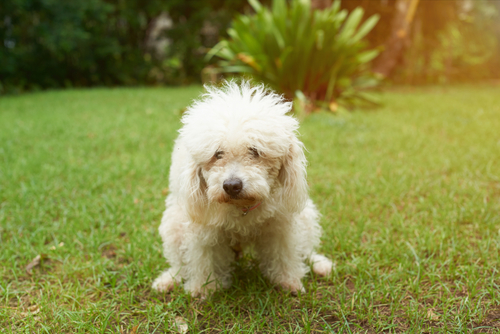 Bichons adore being with their human family, and, if neglected in this respect, they may rebel in frustration—peeing in the house or destroying your personal items. A Bichon is a good example of a pampered puppy! Dogs have a number of needs that must be met to keep them healthy. Fortunately it’s fun and easy to care for your Bichon. A healthy diet is a good foundation for a healthy dog. If your dog is eating well, she is well on the way to being healthy and happy. 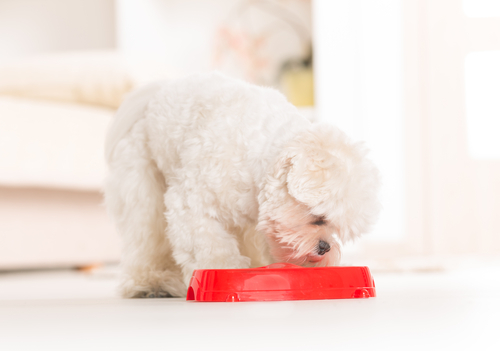 With allergies at the top of the list for Bichon Frise health issues, choosing the right dog food is really important. Many Bichon allergies are actually food allergies. Bichons are definitely high maintenance dogs when it comes to grooming. If not groomed regularly, their beautiful double coat of hair will become an unsightly tangled mess. But you’ll need to address other grooming issues, as well. 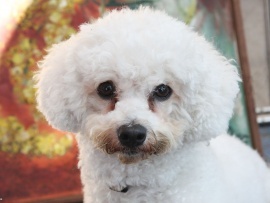 Your Bichon’s eyes can get irritated and have tear stains if not cleaned and cared for often. Even though they are small lap dogs, Bichons do need exercise. Exercise releases endorphins in your dog’s brain, giving him a feeling of well-being. 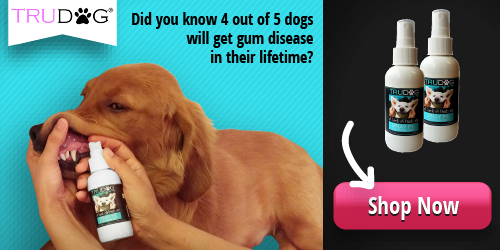 And, of course, it help keep your dog healthy and physically fit. 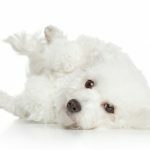 Daily exercise for Bichons relieves anxiety and it can help cut down on chewing and barking activities–two behaviors that can be hard to break. But exercise for dogs is even more. It’s lots of fun–for both of you! When you think of dogs having fun, toys naturally come to mind. Bichons who are gentle chewers enjoy cuddling and rough housing with their favorite stuffed toys. And those who are aggressive chewers do better with more indestructible toys or kong toys (perhaps filled with a treat or peanut butter). 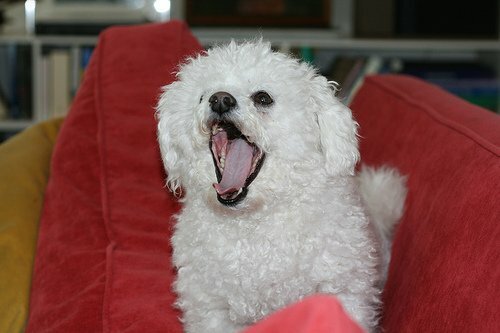 Bichon Frises do tend to have trouble with their teeth and gums if you don’t take care of their teeth. They seem to get more tartar than other dog breeds, so you will need to brush their teeth, feed them carefully and have the vet clean their teeth if it is necessary. Because Bichons are social creatures, you might consider dressing your baby in a Halloween costume for trick or treating on Halloween. Or host a Halloween party or a birthday party for your dog and her friends. But, perhaps most important of all, your dog needs to spend quality time with you–every single day! 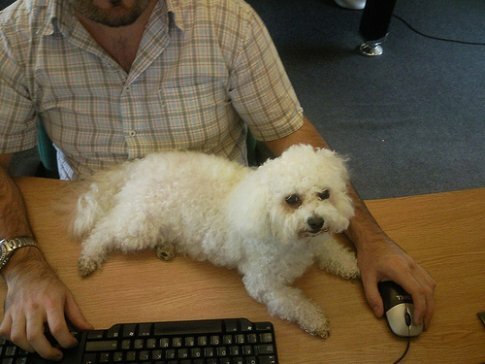 There are many ways that you can spend quality time with your Bichon Frise. Some may involve grooming tasks or dog health care—while others may simply involve spending quiet moments and snuggling together. 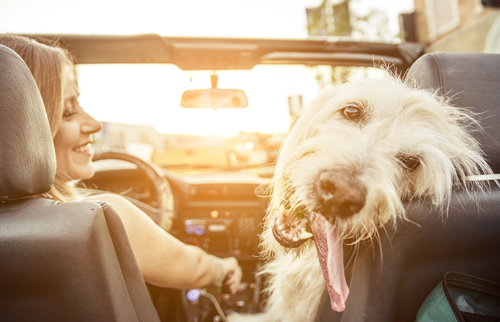 Spending time together is healthy for both you and your dog! Working together and spending time together is fun for both of you. Bichon Frises have always been close companions of their people. And, while it’s true that they love being pampered, you will receive lots of love and devotion in return. Little things like feeding your dog, providing a comfortable place to sleep, daily grooming and pampering and fun training games for your new puppy are all important. 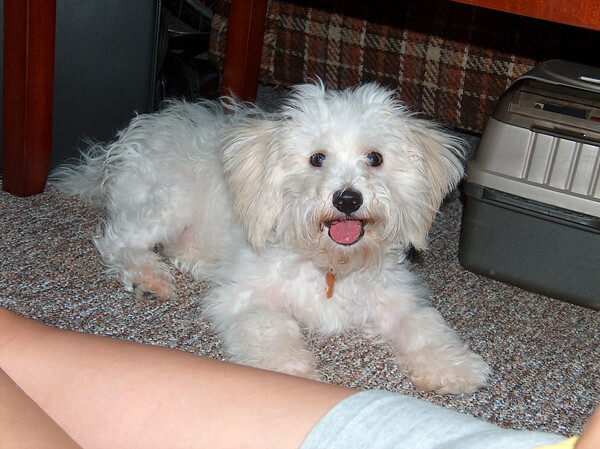 Plan to spend a little time each day on Bichon Frise care and you will end up with a happy, well-adjusted Bichon Frise who is lots of fun to have around. Your Bichon needs to have a place to comfortably lounge near you, in every room that you will spend time together. This can be as simple as a padded mat or as nice as a furniture dog crate. In addition you will need to make sure that your dog is safe and cared for, if there is an emergency. Dr. Goldstein uses holistic dog care very successfully in his practice, for dogs with cancer and leukemia. 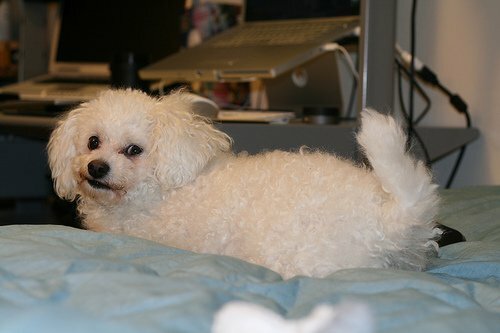 Your Bichon’s medical needs will probably be very simple. She will need routine medical attention at times. If you breed your dog, she will have some special requirements for her care. And you will need to vaccinate your dog for rabies and consider which other vaccinations you will get for him. There are now many excellent natural dog health care products on the market, using herbs, homeopathy or nutritional supplements, instead of conventional medicines. 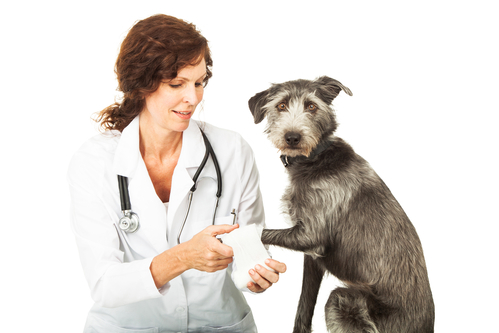 This allows us a number of choices for the care of our pets. Holistic dog care, meaning that you meet all your dog’s needs, will make your life and your dog’s life—a lot happier. A happy and healthy dog is a pleasant dog to have around. And when your dog is pleasant, you will be happier, too!